BETA protects you from zero-day exploits targeting browser and application vulnerabilities. Its proprietary technology protects you in that critical period between the release of a new exploit and its subsequent security patch. And, unlike antivirus products, Malwarebytes Anti-Exploit BETA proactively prevents the exploit from installing its payload. Before it can do damage. One of the top free Anti-Malware programs out on the market today is Malwarebytes. Recommended by many professionals and our team. How do I operate Malwarebytes? You will need to download Malwarebytes, from below Download Link . Hit the “Scan” button below. Malwarebytes should start scanning once it’s finished if anything is detected you are able to click the “Removed selected” button which will remove all infections. Depending on your infection you may have to restart your computer, make sure you do so to complete the cleaning. Your system should now be virus free! OTL by OldTimer is a flexible, multipurpose, diagnostic, and malware removal tool. It's useful for identifying changes made to a system by spyware, malware and other unwanted programs. It creates detailed reports of registry and file settings, and also includes advanced tools and scripting ability for manually removing malware. OTL does not make any determination whether an entry is good or bad. For help diagnosing the logs generated, view the tutorial, or ask for free assistance. Sometimes malware will block OTL.exe by name, or all executables. In that case try one of these alternatives. is a program that searches for and deletes Adware, Toolbars, Potentially Unwanted Programs (PUP), and browser Hijackers from your computer. 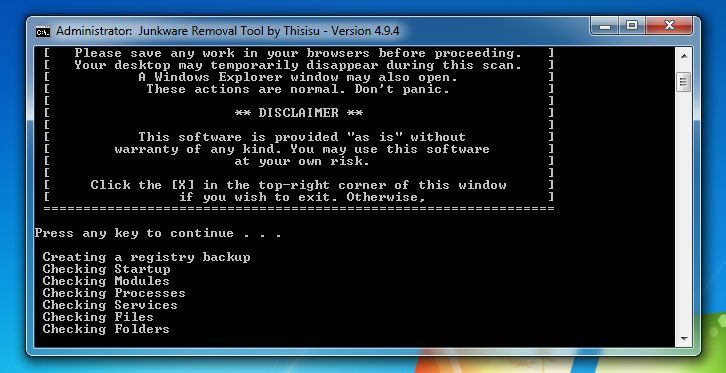 By using AdwCleaner you can easily remove many of these types of programs for a better user experience on your computer and while browsing the web. is a tool developed to identify and cleanse systems of malicious rootkit files and their associated malware. this utility will display a log with the malicious files and registry keys that were removed from your computer. 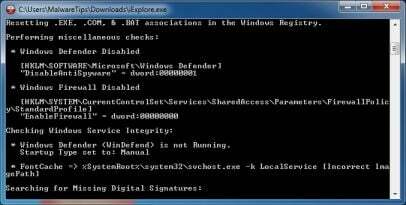 Malware will often add its malicious registry keys to your Windows installation, to remove them we will need to perform a scan with RogueKiller. is a cloud on-demand scanner, which scan your computer with 5 antivirus engines for any type of malware. is a program that will attempt to terminate all malicious processes that are running on your machine, so that we will be able to perform the next step without being interrupted by this malicious software. 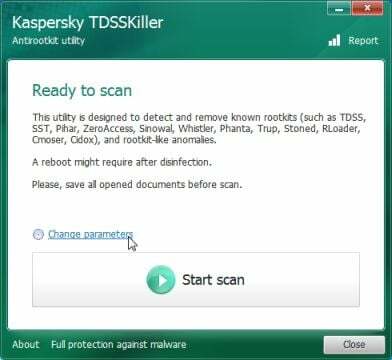 Because this utility will only stops the running process, and does not delete any files, after running it you should not reboot your computer as any malware processes that are configured to start automatically will just be started again. Using cutting edge technology found in our enterprise-grade software, this powerful tool detects all types of malicious software on your computer—including viruses, spyware, rootkits and Conficker—and returns it to a working state. The tool has direct access to virus data from SophosLabs, our global network of threat researchers, ensuring that even the very latest viruses are detected and removed. And it works alongside your existing antivirus.